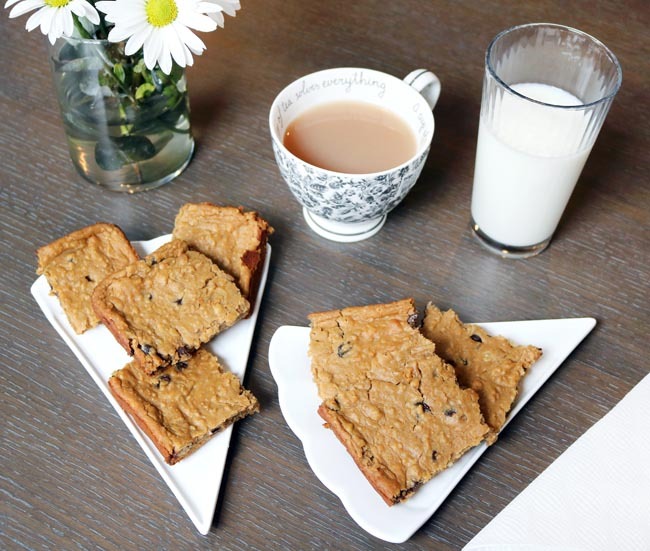 I’ve seen this recipe circulating Pinterest for a while now and at first I thought Chickpea Blondies sounded disgusting. 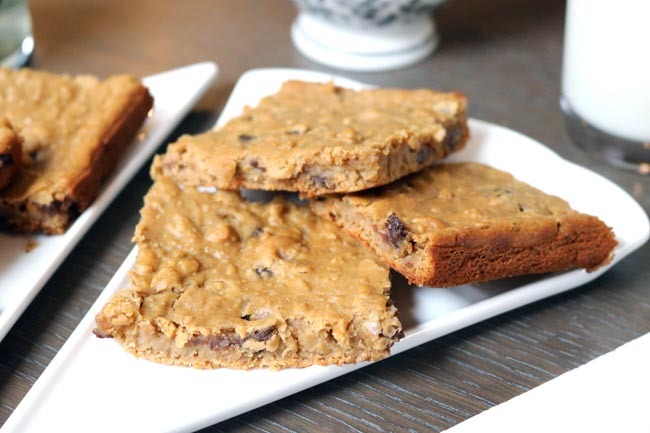 How could something that is often incorporated into savoury dishes – like a legume – taste good in something sweet? After curiosity got the best of me, I decided to test the recipe for myself and answered my very own question. 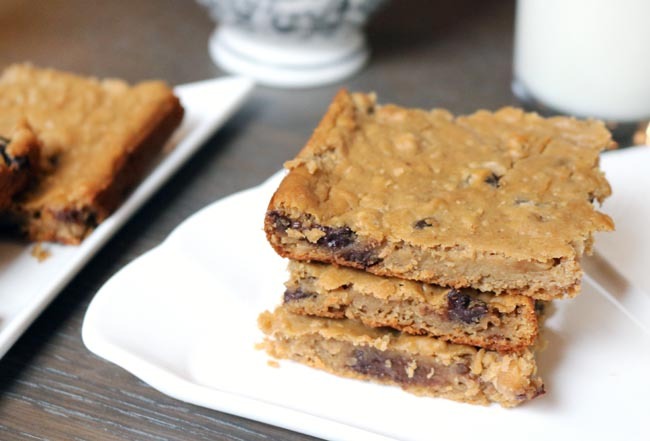 One can of chickpeas replaces flour, making these blondies gluten free! They’re also rich in protein and fibre too, making them a smart choice for snack time or dessert. And oddly, the chickpeas are not noticeable. 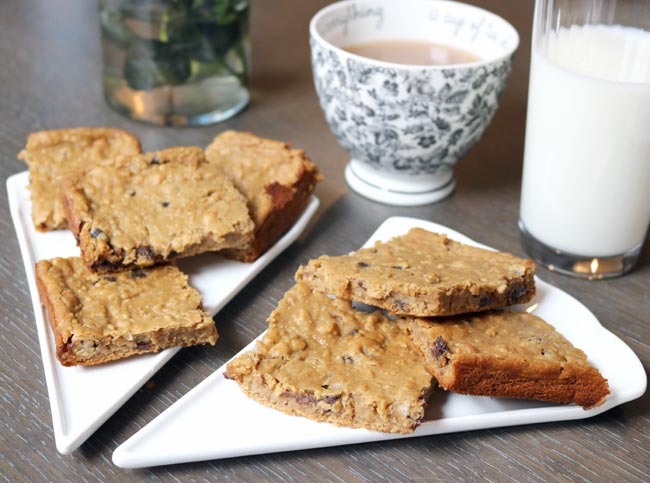 These sweet treats are simply delicious and HEALTHY! In the end, mine didn’t turn out as fudge-y and gooey in the middle like the post I took the recipe from. But I’m notorious for neglecting to measure ingredients, so there’s a chance I just didn’t add enough chocolate chips. Sounds crazy, right? Who opts to add less chocolate chips than more?? Regardless, they still tasted nice! 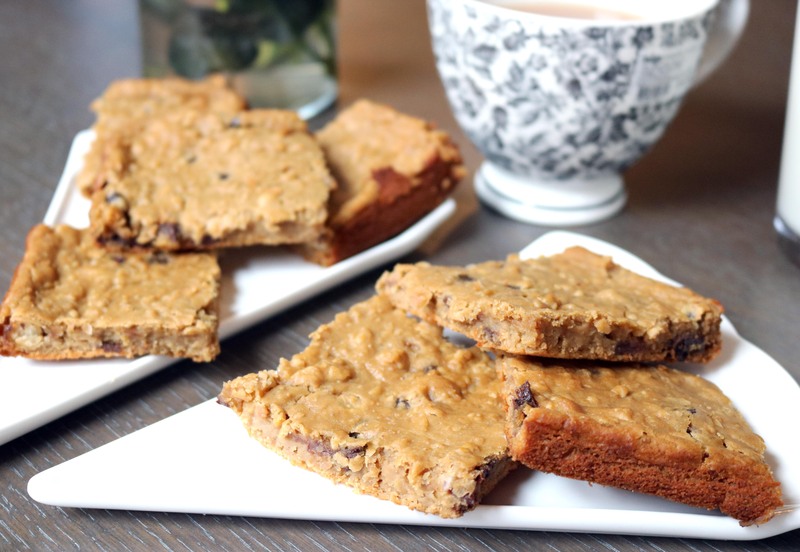 Have you tried adding chickpeas to your baked goods before? If not, would you be willing?